Water is a very necessary part of every individual’s life. Due to pollution and harsh effects of industries the preserved water on earth is decreasing day by day. In most African countries, substantial quantities of wastewater from many commercial establishments like laundries, hotels and hospitals, freely mix with sewage. The larger the sewers networks, the more risky they are to operate, especially in developing countries which deploy only manual sewer cleaning processes. In the west, sewage from toilets, kitchens, baths, wash basins, washing machines, etc are collected in each building, passed through sewerage (typically underground drainage lines) and taken to a corner of the city where a centralized ‘Sewage Treatment Plant’ (STP) treats it. This treated sewage is then discharged, to the sea or other water bodies. Most modern cities and towns were built many decades if not centuries back, and so such sewerage systems and STPs were also built long back. In the old days, wastewater was not considered a reusable resource, and so the society was only interested in discharging sewage, either to the sea or other water bodies, or out in the open. STP technologies were so primitive that the STP areas used to stink, and so they built STPs in a God-forsaken corner of the city/ town where nobody lived anywhere nearby. 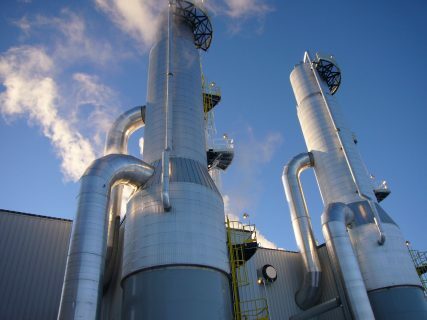 These STPs were huge in size, and consequently, had to be built to be adequate for the next 25 or more years, thus building over-capacity, which brings down the efficiency of the electrical systems, increasing the power consumption. Clearing sewer blockages and replacing old pipes becomes a huge mess in the centre of cities with such systems, and is costly as well. “Moreover, unlike the recent technologies, there was the use of a lot of chemicals and maintenance schedules were quite frequent,” observes Mr. Leon du Casse, the Managing Director of Bio Sewage Systems in South Africa. They built sewer lines running across the city/town to the STP location. While the pipe sizes in the farthest locations were small, the pipe sizes became larger as they got nearer to the STP because the volume of sewage they carry increases. Close to the STP, the pipe sizes became very large. The typical cost of sewer lines was 6-8 times the cost of STP. But things have changed since then. According to Nick Nicholas of Genesis Water Technologies in USA, there has been a learning curve among African clients in their response to different wastewater treatment methods. “In our experience Africa clients seemed content with using outdated or obsolete wastewater treatment methods due to cost. However, with clean water becoming scarce we have seen as clients have become more educated about more advanced methods of treating wastewater, they have come to appreciate these methods and the better treatment results that are associated with more advanced treatment methods,” he adds. The continent is looking at an adoption of zero discharge concepts even in respect of sewage, hence the demand for wastewater treatment system is increasing exponentially as Ms. Denise Scramling of Jet Inc Corp in USA observes. Many countries have started legislating that industries shall not draw ground water, but have to treat sewage and re-use. According to Mr Gourish Chakravorty the CEO of Ion Exchange Safic in South Africa, a blend of alternative source of water should be considered. 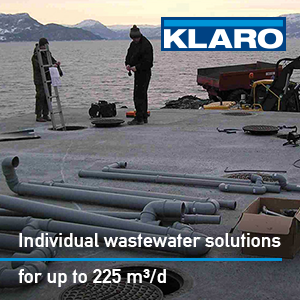 This may include primarily Waste Water from Industries/Municipalities, Sea Water RO and Ground Water. Established technologies including Membrane Bio Reactor (MBR), Moving Bed Biofilm Reactor (MBBR), and Fluidized Media Reactor (FMR) are being used for such applications. Rain water should also be used wherever applicable. Ion Exchange Group has commissioned several such installations in Asia, Middle East and Africa using MBR, MBBR and FMR technologies which are operational since 10-15 years. “Africa does well with our package systems as they provide a reliable, simplified process. A package plant can be locked in a storage container to protect it, especially in remote areas,” affirms Michele Mcfee of Westech in USA. However, Mr. Mark Ross of Lilliput Treatment Technologies in South Africa mentions that, with the advancement in technology, conventional domestic sewage effluent treatment systems have also become so sophisticated and require fairly high levels of technical intervention. Lilliput have done several projects in African countries like Namibia(15), Lesotho(5), Mozambique(8), Botswana(2), Mali(3) among others. 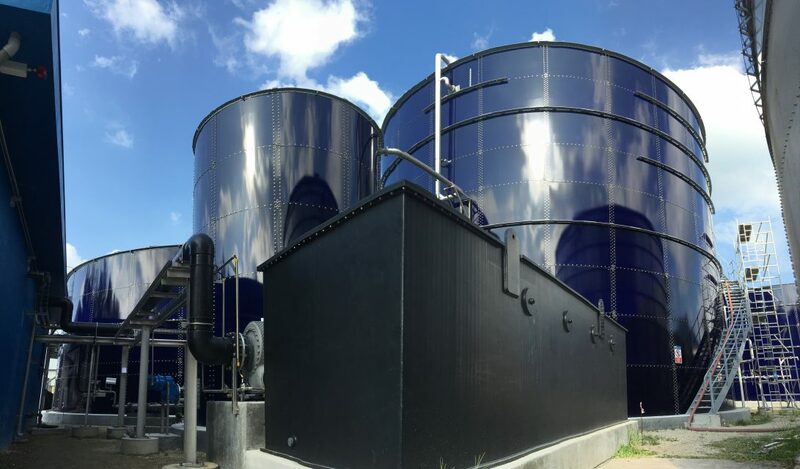 Just like the other industries, the wastewater treatment industry has also experienced technological advancements that look to improve the wastewater treatment process. Mr. Joost Paques of Paques from the Netherlands mentions that, Africa has responded positively to technological advancements in the industry. They are very interested in the innovative new technologies, which are based on natural processes (bacteria). Shaniya Khan of W.O.G Technologies (P) Ltd. Notes that the unique aspects that results to positive response to the different wastewater treatment methods include; appropriate and clear description of the product and services, state of the art technological knowledge and best practices , giving the best guarantee for the product and services. WOG Group is an International, multi-disciplinary environmental services company whose products and services have a global reference. 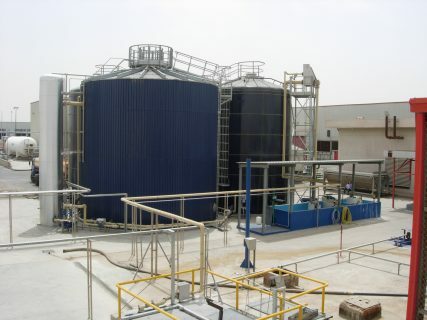 Their wide range of product and services includes water, waste water treatment and recycling plants using various technologies and methodologies. 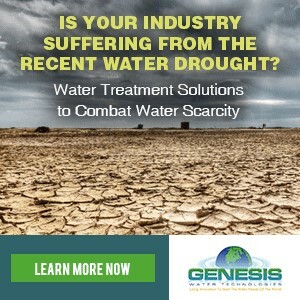 According to George of Lewin Technologies, a company whose water treatment plants products is turnkey solutions, with automatic operation, some of the new technologies are reverse osmosis systems, water softening and ion exchange systems, sand and carbon filter systems, iron and manganese removal systems, dual and multimedia systems, industrial cartridge type sediment filter systems, disinfection systems. Products from Lewin Technologies are ideal for purifying water from surface sources including municipal water for domestic purposes or small water bottling plants. Shainaz Jamal of Wettech Africa comments that water technologies have evolved with a lot of new solutions as clients are often confronting designers for solutions which are power friendly and can accommodate the outrageous power bills crisis in Africa. “ Africa is rapidly grasping any technology that can improve their current development situation. With that on note our company has not been left behind. We have the MBR system, MBBR system MABR (which the most latest and most expensive) but also very effective and low on power consumption,” said Shainaz Jamal. Moreover, authorities in African countries have become much stricter in terms of the treatment of waste water and treated water specifications. 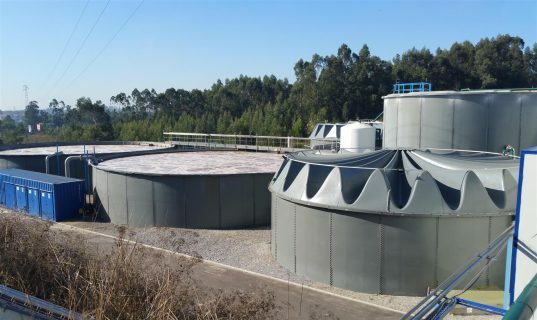 This has forced clients to look at properly designed wastewater treatment plants that can meet regulatory discharge standards in each country; Chris Braybrooke of Veolia Water Technologies in South Africa mentions. Filter bank for pressurized sand filtration process used in an energy-efficient, low maintenance packaged water treatment plant supplied by Veolia Water Technologies, South Africa to Politsi Water Treatment Plant, providing an additional five megalitres per day of potable water to two villages in Limpopo, South Africa. A few new modern technologies are coming up which can treat sewage to high levels of purity, fit for re-use for not only gardening but even for toilet flush, car wash, industry including building construction, and even drinking. Moreover, the new plants have unique features, like for instance Idro Group from Italy manufactures plants that are very simple with “plug & play” mode. The plants can also run on solar energy which means they can be installed in areas which are not connected to the grid. Marc Horton EVP sales and marketing of Flowline, a global, level measurement leader (liguids & solids) across the level technologies of Ultrasonic, Guided Wave Radar & Pulse Radar targeting small tank applications comments, that Wireless regarding elimination of cable plant for instrumentation connectivity as well as remote placement of instrumentation utilizing either WiFi for short range connectivity is an emerging technology trend that will be rapidly adapted in the industry in the coming years as it pertains to data collection driving predictive maintenance or enterprise connectivity and product reliability metrics RE SIL (safety integrity levels) relative to failure predictability. Marc further adds that there also new technology breakthroughs in the industry such as Flowline’s REFLECTIVE ULTRASONICS, the first ultrasonic transmitter capable of overcoming condensation against elevated process temperature.”Our level measurement sensors & respective controllers also output highly reliable measurement & control data for precision process applications within the STP”. According to Franco Falcone the CEO of CIE, a specialist in the design, manufacture and installation of water and waste water plants specifically dedicated to metal finishing line from Italy, Zero Liquid Discharge technologies are of strong interest for African companies because they overcame problems of fresh water availability and sometimes lack of sewer network. 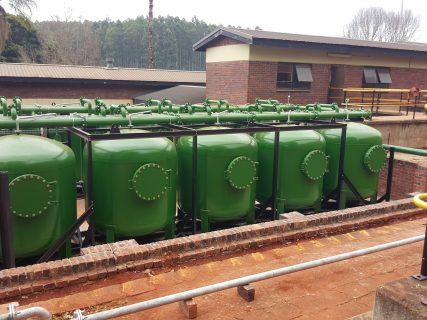 Cuss in Germany has recently introduced Membrane technology (MBR – Membrane Bio Reactor) to reach even the most strict effluent requirements and to re use the treated effluent (water saving in arid areas). 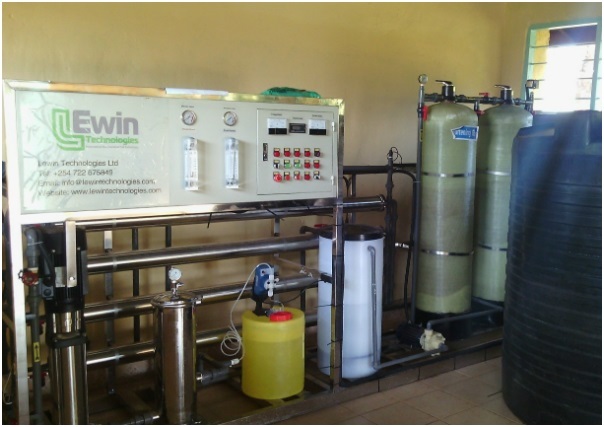 In partnership with CHRIWA Water Technologies the effluent from the MBR system can be further treated with an RO system (Reverse Osmosis). According to Mr. Joern Haase, Senior Project Engineer at Cuss, the response from the clients to the Cuss plants is very positive. “Due to the fact that Cuss does not sell ‘standard’ systems each project is especially designed for the clients needs. This guarantees that for each project the best technology and treatment method will be installed,” he adds. Additionally, Mr. Rudolf Ochsner of Uniha in Austria also mentions that prefabricated systems that are tested in the factory guarantee efficiency and effectiveness to the client. “Due to the variable design and coupling of modules, the capacity of WWSG-container waste water treatment plants may be adapted to increased volume of wastewater. 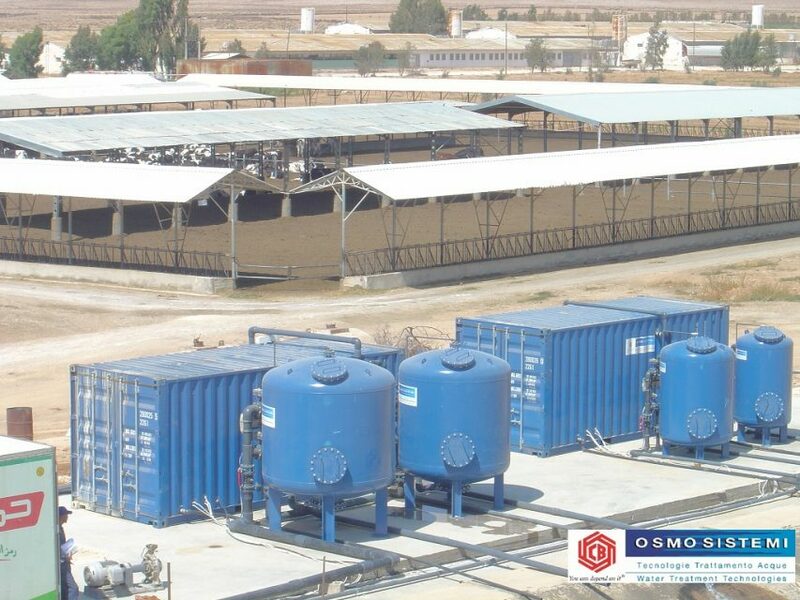 The range of waste water purification products stretches from small purification plants for private houses to container sewage treatment plants, mobile or installed for temporary application, estates, hotels, camps for humanitarian or military organizations, working camps, industrial application and for exposed camps as well as industrial waste water purification,” adds Mr. Ochsner. “Depending on the quality of the untreated water, plants for the purification of potable water in mobile containers or in a more permanent form can be applied using the corresponding technologies (filtration, reverse osmosis etc. ),” he affirms. Mr. Christian Eckert of Klaro, a specialist for small wastewater treatment plants up to 50 PE and bigger wastewater treatment systems of up to 1,500 PE from Germany explains that, in general, Africa is open to new technologies especially from Europe; however, they often opt for unreliable cheaper technologies. The conception for high-quality technologies, which conform to state of the art standards, but are a bit more expensive, has to be adopt for the industry to prosper even further. Water scarcity in many regions is starting to shape how communities globally and within African think about wastewater. According to Nauman Rashid, Marketing Director, Middle East & Africa, SUEZ Water Technologies & Solutions, areas with larger populations and those dealing with water scarcity challenges, like South Africa and Namibia, are gravitating to MBR and water reuse as way to create sustainable water resources for industrial and agricultural needs, saving pristine water sources for potable uses. 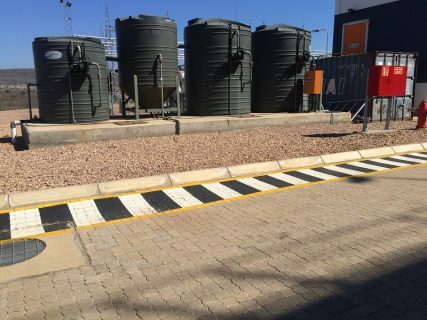 “For example, one of our customers in South Africa uses our electrodialysis reversal (EDR) and reverse osmosis (RO) technology to treat its high TDS, high calcium sulfate mine drainage water. 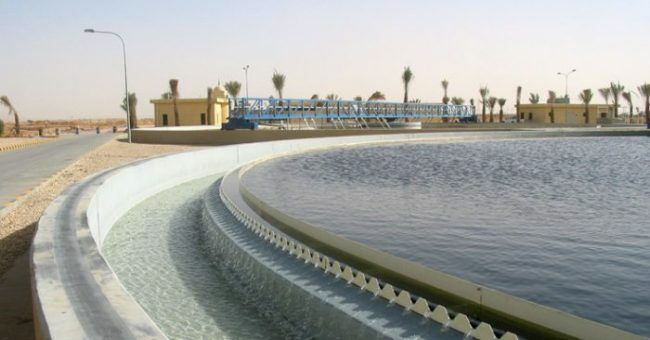 Our unique solutions enable the customer to purify and reuse 70% of its mine water, both preventing discharge to the environment and providing needed purified water for operations,” he says. New volumes of Bolted storage W-Tank®: W-Tank® modular bolted tanks are an innovative solution very appreciated and in Africa and the rest of the world due to its ease of transport and installation. Low lead time, lightness and resource optimization are increasing overseas demand. 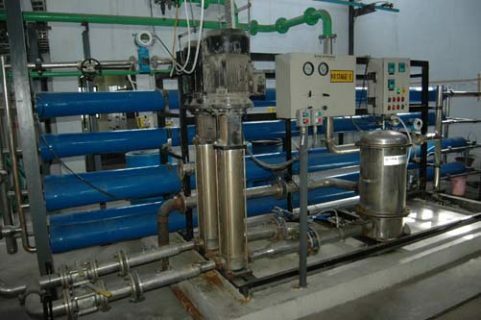 Dissolved Air Flotation units: FADAR (High Performance Dissolved Air Flotation) is an own technology and Anaconda® equipment manufacturing process is developed accurately. 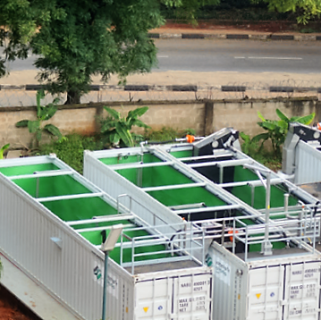 Containerized equipment to simplify installations, time, space and all resources: The equipment in this compact WWTP’s (Waste water treatment plants) is factory-tested to minimize tests in destinations. 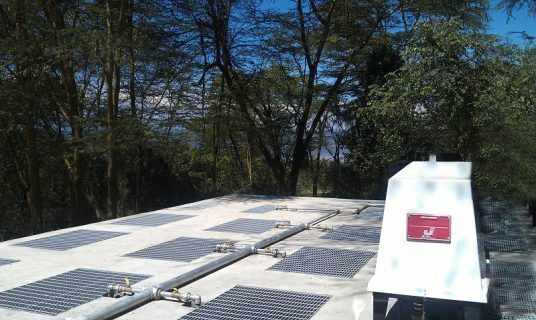 According to James Brown of Delta Water Solutions in Africa, they have had a very positive response to their approach of water treatment technology and already have Delta units in Africa which have been very successful. In many other treatment plants, scale growth in pipes and fittings can be a major problem because of the high mineral content of the waste water being treated, creating restriction and at times blockages. Delta treatment prevents the minerals forming scale and the treated water will, over time, breakdown the existing scale growth eventually cleaning the system. Delta treatment of the waste water as it is being pumped out of effluent dams for yard wash down or to be irrigated onto pasture and crops, has stopped this struvite growth and gradually broken down existing struvite growth. Struvite is a phosphate mineral with formula: NH₄MgPO₄·6H₂O. Struvite crystallizes in the orthorhombic system as white to yellowish or brownish-white pyramidal crystals or in platey mica-like forms. However, companies that are looking for an effective way to treat wastewater have frequently overlooked the renewable energy potential of their wastewater. Jean-Pierre Ombregt, CEO and chairman of Global Water & Energy Group, a company famously known for its ANUBIXTM – B product which that has successfully served as a treatment of wastewater from breweries, seafood canning, soft drinks production, dairy production, tapioca starch plants, and other industries in Africa, notes that very often, they can utilize the biogas – a product of the anaerobic wastewater treatment process, at their production plants, for future savings. “We would advise them to look at the bigger picture of how they can cut the surcharges and improve their business sustainability. They can always count on our engineers to serve them with advice and expertise during the decision process,” said Jean-Pierre. WWTP for Indian Ocean Tuna, Seychelles – engineered and built by Global Water & Energy Group. Silvia Carboni, commercial department of OSMO SISTEMI S.r.l. recommends a buyer to be keen on the requested plants performances in terms of quantity and quality of the product water are granted, the efficiency of the system if maximized, quality of the design, materials and components used is the highest (long life and low maintenance) and operating costs are optimized when purchasing the water treatment products for durability purposes. 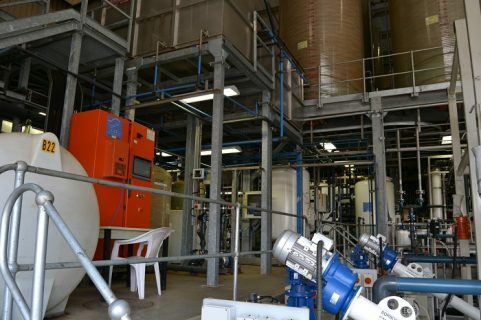 “Our Reverse Osmosis plant for the production of drinking water, Iron and Manganese removal systems, and distinction systems has the above features with additional flexibility and relevant references that secure client’s satisfaction,” said Silvia. 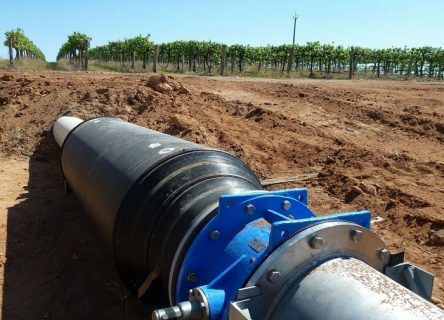 The use of magnetic water conditioning in sewage treatment has shown that proper magnetic field intensifies the active sediment biodegradation process of most poorly disintegrating chemical compounds, as well as impurities found in sewage. Due to the influence of the magnetic field there is increase of activity of the active sediment aerobic bacteria which is responsible for the processes of oxidation of the organic compounds. Some organic compounds can disintegrate in the magnetic field without participation of micro-organisms, as was demonstrated with poorly disintegrating aniline. It has been observed that magnetic treatment can lead to a decrease in the aeration time by 20-30%. Furthermore, there is increase in the efficiency of the sedimentation process of the contaminant dispersed in the carrying fluids and industrial waste. 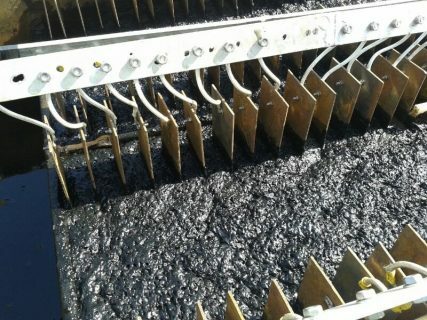 The application of magnetic treatment technology reduces the use of costly chemicals and coagulants, not disturbing, in accordance with the EPA norms, the range of tolerance of pH of the treated sewage. With this method one can radically accelerate the sedimentation process of the suspended matter, increase the biological activity of the micro-organisms, and thus the disintegration of the organic and inorganic substances, as well as diminish & stabilize the BOD (biological oxygen demand), and consequently shorten the aeration time.